Restylane Lyft is the first hyaluronic acid (HA) injectable gel approved for use on the dorsal hands of people older than 21, thanks to recent FDA approval. The FDA nod was based on a multi-center, randomized, evaluator-blinded, split-hand study investigating safety and efficacy of Restylane Lyft for use in the dorsal of the hands. Eighty-nine patients age 22 and older were enrolled in the trial. The study met its primary endpoint, showing a clinically meaningful improvement in the correction of volume deficits of treated hands for up to six months. 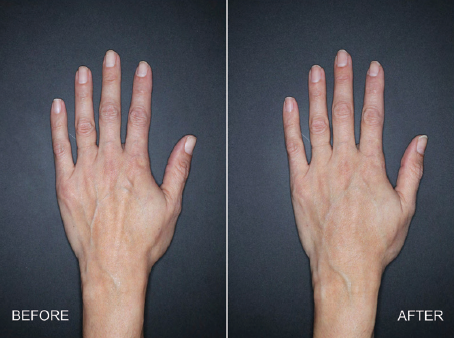 Restylane Lyft was shown to be safe and well-tolerated for the correction of volume deficit in the dorsal hand. After initial treatment, injection site responses (swelling, tenderness, redness, bruising, pain, itching, impaired hand function) were predominantly mild in intensity, and temporary. “Restylane Lyft is now the first and only dermal filler with 3 FDA-approved treatment areas – the midface/cheek area, nasolabial folds, and now the back of the hands,” says Alisa Lask, General Manager and Vice President, US Aesthetic Business Unit at Nestlé Skin Health. The FDA has approved extending the label for UCB’s Cimzia (certolizumab pegol) to include a new indication in adults with moderate to severe plaque psoriasis. The approval makes Cimzia the first Fc-free, PEGylated anti-TNF treatment option for this indication and marks the entry of UCB into immuno-dermatology, where significant unmet need currently exists. The approval also follows a recent FDA label update for Cimzia in pregnancy and breastfeeding that provides essential information to healthcare professionals and women. “The Phase 3 clinical development program for Cimzia in plaque psoriasis demonstrated statistically significant improvements in efficacy endpoints at week 16. A clinically meaningful response was maintained up to week 48. This compelling body of evidence is especially significant for a disease like psoriasis, which often has significant emotional and social burdens in addition to the more widely recognized physical symptoms,” says Alice Gottlieb, MD, PhD, Professor of Dermatology at New York Medical College and lead investigator, in a news release. The FDA has approved a label update for Taltz (ixekizumab) injection 80 mg/mL to include data in psoriasis involving the genital area. Eli Lilly and Company’s Taltz is the first treatment FDA approved for moderate to severe plaque psoriasis that includes such data in its label. Taltz was first approved by the FDA in March 2016 for the treatment of adult patients with moderate-to-severe plaque psoriasis who are candidates for systemic therapy or phototherapy. In December 2017, Taltz was also approved for the treatment of adults with active psoriatic arthritis. The label update is based on positive results from the first randomized, double-blind, placebo-controlled study in moderate to severe psoriasis involving the genital area. In the study, 149 patients with plaque psoriasis who were candidates for phototherapy or systemic therapy, and who failed to respond to or were intolerant of at least one topical therapy for the treatment of psoriasis affecting the genital area, were treated with Taltz or placebo. Patients were required to have a minimum body surface area involvement of 1 percent, a static Physician Global Assessment (sPGA) score of ≥3 and a sPGA of genitalia score of ≥3. Taltz demonstrated a significant improvement compared to placebo at 12 weeks in the severity of psoriasis affecting the genital area, as measured by sPGA of genitalia score; overall psoriasis, as measured by sPGA score; genital itch, as measured by the Genital Psoriasis Symptoms Scale (GPSS) Itch numeric rating scale (NRS); and in the patient-perceived impact of psoriasis involving the genital area on frequency of sexual activity, as measured by Sexual Frequency Questionnaire (SFQ) Item 2 (In the past week how often did your psoriasis involving the genital area limit the frequency of your sexual activity?) score. Dupixent (dupilumab) performed well in a Phase 3 Trial of inadequately controlled moderate to severe atopic dermatitis in adolescents, Regeneron and Sanofi report. In the trial, treatment with Dupixent as monotherapy significantly improved measures of overall disease severity, skin clearing, itching, and certain health-related quality of life measures. Patients treated with Dupixent had significant improvement in disease severity at 16 weeks. The primary endpoints were the proportion of patients achieving Investigator’s Global Assessment (IGA) score of 0 (clear) or 1 (almost clear) and 75 percent improvement in Eczema Area and Severity Index (EASI-75, co-primary endpoint outside of the U.S.) at 16 weeks. Dupixent’s safety profile was consistent with that seen in adults. Detailed results from this trial will be presented at a future medical meeting. These data will be submitted to regulatory authorities later this year. Eczema now joins the list of inflammatory conditions linked to cardiovascular risk. British researchers report that individuals with severe eczema may be at greater risk for heart attack, stroke and atrial fibrillation. Their study appears in the BMJ. Specifically, individuals with severe eczema had a 20 percent increased risk of stroke and a 40 percent to 50 percent greater risk of unstable angina, heart attack, atrial fibrillation, and death from heart disease. This group also had a 70 percent increased risk for heart failure, the study showed. These risks remained after the researchers accounted for such factors as weight, smoking, and alcohol use. Still, this was an observational study, so the researchers couldn’t prove cause and effect. To arrive at their findings, the researchers compared data for more than 385,000 adults (average age 43) with eczema to up to five people of similar age and gender who didn’t have eczema. Patients were classified as having mild, moderate or severe eczema and followed for an average of five years. New guidelines may slightly increase reliability and accuracy of melanoma diagnoses, a new study in JAMA Network Open shows. The American Joint Committee on Cancer recently updated its guidelines for melanoma, and the study researchers found that when pathologists used the new guidelines for cases of early stage invasive melanoma, they agreed with an expert-defined diagnosis 10 percent more often. In the study, researchers reviewed 4,342 analyses of 116 cases of invasive melanoma, made by a total of 187 pathologists from 10 US states. The physicians’ interpretations were compared with an expert consensus diagnosis to assess accuracy. The pathologists were unaware that they were interpreting the same set of cases twice; the second viewing occurred at least eight months after the first. In a prior study, the same researchers showed that pathologists disagreed about the diagnosis of early-stage invasive melanoma more than 50 percent of the time, and they wanted to learn if the new guidelines would lead to more reliable diagnoses. Now, pathologists may be able to more accurately classify invasive melanoma using the new guidelines. 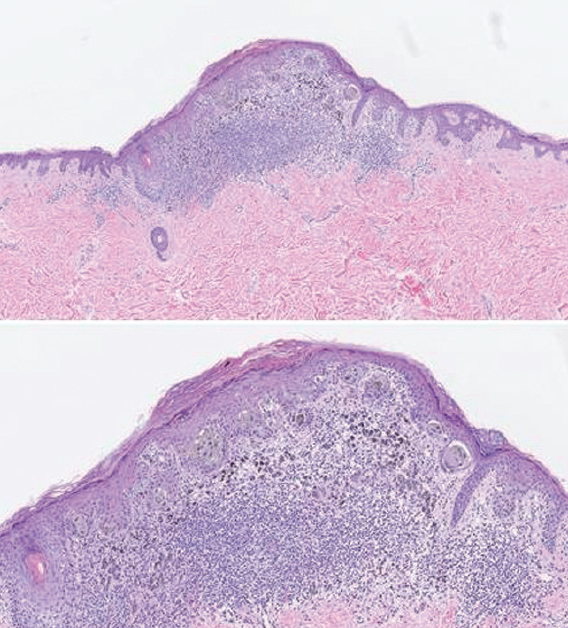 Although there was only slight improvement in how often pathologists agreed on characterizing invasive melanoma, that difference could help improve treatment outcomes for some patients. Still, the likelihood that pathologists will agree on the diagnosis of early-stage melanoma tissue and make an accurate diagnosis is low. The drug spironolactone may be just as effective as antibiotics for the treatment of women’s acne, report researchers from the Perelman School of Medicine at the University of Pennsylvania. The study, published in the Journal of Drugs in Dermatology, found patients who were originally prescribed spironolactone changed to a different drug within one year at almost the same rate as those who were prescribed antibiotics. The prescription change is a proxy for ineffectiveness, since switching is often the result of treatment failure due to lack of efficacy, side effects, cost, or other factors. Oral antibiotics are the most common systemic treatment for acne, and when combined with the large patient population, the result is that dermatologists prescribe the highest level of antibiotics per provider among all medical specialties, according to the Centers for Disease Control—a fact that contributes to concerns about increased resistance to antibiotics across all fields of medicine. 1 in 2 Latina influencers favor complementing diet and exercise with non-surgical body contouring, according to an Allergan-sponsored survey. The survey results were part of a panel discussion with Vivian Bucay, MD a San Antonio, TX dermatologist; Gia Fey, Curveygirls Fitness trainer and creator of Body by Gia; and Ana Flores, Founder and Chief Executive Officer of #WeAllGrow Latina Network, an organization dedicated to leveraging social influence to grow a community of Latinas through online conversation, held last month. In the survey of 255 members of #WeAllGrow’s Latina influencer network, 63 percent said they are considering cosmetic surgery to look better as they age, and 42 percent said they consider themselves to be the first of their friends/family to try new aesthetic treatments. What’s more, as many as 94 percent of respondents said they have troublesome spots on their bodies that they want to lose, mostly centered in the mid-section, and one in two respondents (52 percent) shared they are in favor of combining diet and exercise with a body contouring procedure such as CoolSculpting. “It’s clear that a safe alternative to oral antibiotics could have a huge benefit, and our data show spironolactone may be that alternative,” says the study’s lead author John S. Barbieri, MD, MBA, Dermatology chief resident at Penn, in a news release. 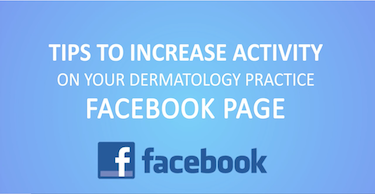 David J. Margolis, MD, PhD, a professor of Dermatology, was the study’s senior author. To arrive at their findings, researchers compared data on 6,684 females taking spironolactone to 31,614 who were prescribed antibiotics. Within a year, 14.4 percent of spironolactone patients and 13.4 percent of antibiotic patients had switched to alternative treatments, suggesting each treatment was working at almost the same rate, despite the fact that tetracycline-class antibiotics are prescribed five times as frequently. “These numbers suggest dermatologists should consider spironolactone first instead of antibiotics when it comes to women with acne,” Dr. Barbieri says. In addition to the benefits for antibiotic stewardship, Dr. Barbieri pointed to several studies showing long-term oral antibiotic use may be associated with antibiotic resistance, lupus, inflammatory bowel disease, and even colon and breast cancer. 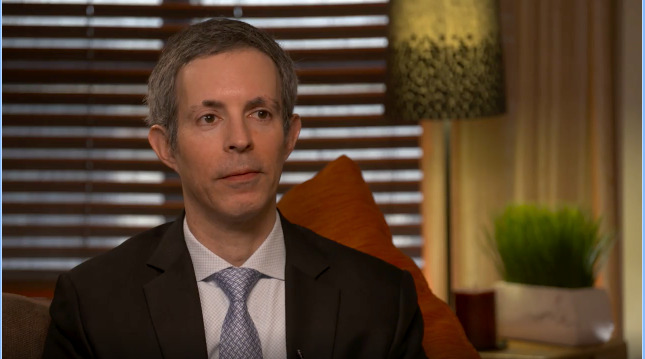 “This indicates spironolactone may have a better safety profile than oral antibiotics, which is another factor that makes it such an appealing option,” Dr. Barbieri says. He also noted spironolactone is less expensive, which may be relevant to patients with high deductibles or who are uninsured. Spironolactone is not FDA-approved for the treatment of acne despite expert opinion supporting its use, and Barbieri says the findings of this study should be confirmed by a randomized controlled trial that directly compares the two treatment options. More than 3.5 million skin cancer procedures were performed by ASDS members in 2017—a 33 percent increase since 2012. Over the last six years, treatments for melanoma have grown by 30 percent. For the first year, sun damage took the top spot for the condition treated with energy-based devices. This reinforces the ongoing need for sun protection education, especially for younger patients. Developing sun-safe behaviors in youth will lead to healthier habits for life. The SUNucate model legislation created by ASDSA has taken hold and currently 14 states have passed laws allowing children to use over-the-counter sunscreen at school and camps. The ASDS also reported that the number of cosmetic procedures performed annually has continued to grow. No stranger to this industry, Jonah Shacknai founded Medicis Pharmaceutical Corp. and served as its Chairman of the Board and Chief Executive Officer from 1988 through 2012. His newest venture, skinbetter science, aims to apply pharmaceutical grade standards to the skincare business and just may breathe new life into the independent skincare category in the process. And so far, so good. The line nabbed two awards from Allure magazine in its first 12 months—skinbetter science has won five beauty industry awards overall in its first 18 months in business. And there’s a buzz about the products among dermatologists and plastic surgeons. 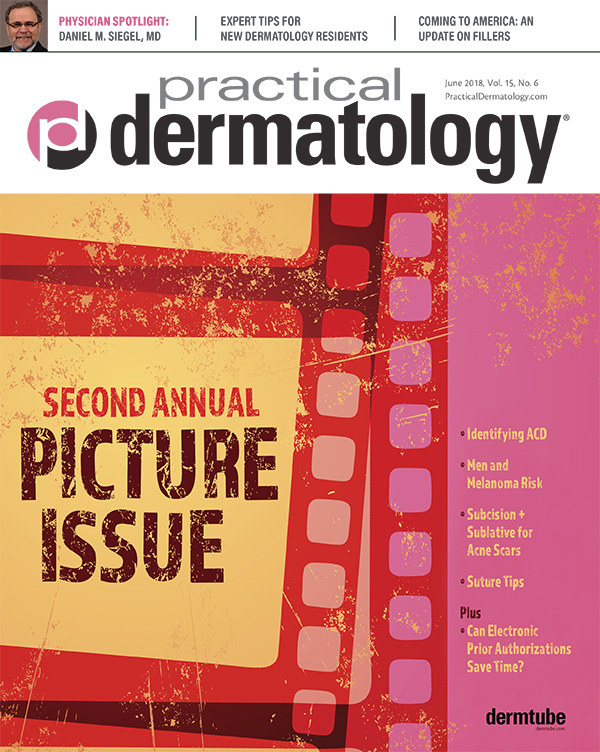 Mr. Shacknai sat down with Practical Dermatology® magazine to discuss his goals for his new company. Despite the 2014 Sunscreen Innovation Act, the FDA hasn’t approved any new sunscreen ingredients in a decade. Sunscreen products are capped at SPF 50 in Europe and Japan, and 50+ in Canada and Australia. Capping SPF claims is one important way the FDA could improve consumer protection in the US. EWG estimates that half of all sunscreens on the US market would not pass the more stringent European ingredient standards, which require stronger UVA protection. The annual Consumer Reports sunscreen ratings have also been released. Just one product, La Roche-Posay Anthelios 60 Melt-In Sunscreen Milk, came away with a perfect score of 100 in 2018, making this the fourth year in a row that the product received a perfect score. The second place slot went to Equate’s Sport Lotion with a score of 99, and the only spray formula to receive a perfect score is a Trader Joe’s product. Jerry Bagel, MD, founder of Windsor Dermatology and Psoriasis Treatment Center of Central New Jersey, will receive the Excellence in Leadership Award from the National Psoriasis Foundation (NPF). For more than 30 years, Dr. Bagel has worked toward curing psoriasis and helping people who suffer from the condition. He is a five-term member of the NPF Medical Board, and he founded the NPF President’s Council, which has raised more than $1 million for psoriasis research. The 2018 Eclipse M&SAB includes: Sanjay Batra, PhD; Wilma Bergfeld, MD; Steve Dayan, MD; Neil Sadick, and MD; Gordon Sasaki, MD. New CFO at Evolus, Inc.
Lauren Silvernail is the new Chief Financial Officer and Executive Vice President, Corporate Development at Evolus, Inc. Ms. Silvernail joins Evolus from Revance Therapeutics where she most recently served as Chief Financial Officer and Chief Business Officer. Recently, the FDA did not approve DWP-450, Evolus Inc’s rival product to Allergan Plc’s Botox, due to chemistry and manufacturing issues. As a result, the company pushed its estimate for the launch of the drug to the spring of next year. Daniel Siegel, MD, Clinical Professor of Dermatology at SUNY Downstate in Brooklyn, NY, and a former President of the American Academy of Dermatology has joined the Medical Advisory Board of MedX Health Corp. The FDA has granted rare pediatric disease designation for Castle Creek Pharmaceuticals’ (CCP) diacerein 1% ointment (CCP-020) for the treatment of epidermolysis bullosa (EB). The safety and efficacy of CCP-020 is currently being evaluated in the DELIVERS study for the treatment of patients with epidermolysis bullosa simplex (EBS), a subtype of EB.